December 18, 2009 Monteoliveto Gallery launched in Naples an artistic project dedicated to the Neapolitan tombola. 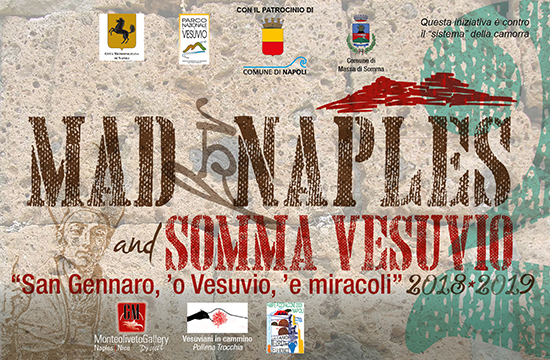 One year and 90 artists later, December 18, 2010, a group exhibition of the works of 90 international artists dedicated to the theme was a great success in the gallery of Naples. In 2011, in Nice, on February 24th, the MUSEAAV, museum of the unlimited imagination in Place Garibaldi, in the historical center of the city of Nice, close to the culturally attractive district of antique shops and art galleries, crossing of artistic disciplines, and experimental laboratory inserted the event in its artistic programming thus making it possible to make discover to the public this traditional Neapolitan game of the Christmas evenings. 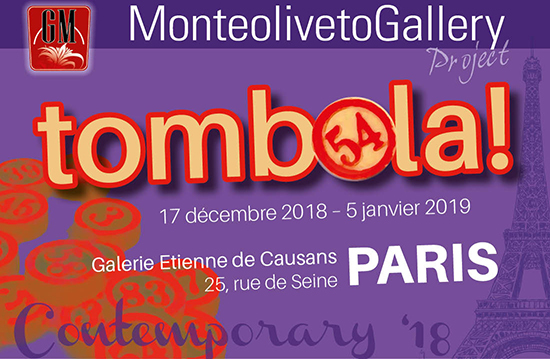 On the blows of the tenth year, in December 2018, in its itinerant artistic project, Monteoliveto Gallery will stop in Paris and propose in the Gallery Etienne de Causans the Interpretation of the 90 numbers of the Loto by 90 international artists. An original idea to tell the story in Paris during the Christmas holidays 2018 of the tradition of the Neapolitan tombola, ancient game created in 1734 in Naples, where we find the 90 figures with their symbolic meaning born from the imagination of the people. The interpretation of a collective of artists from all horizons who will confront with the destiny, will make us rediscover the game of the tombola where the numbers, small works of art all of the same dimension and all so different, will be interpreted with the fantasy and the personal artistic sensibility of each artist. Ninety artists will gather their artistic strengths next December for a big party, a collective game that becomes a special art exhibition and expression of different artistic languages, colors, techniques at the choice of artists, who will allow to tell this feast, with an intriguing, multiform and kaleidoscopic exhibition. An encounter with singular contemporary art, an interesting and "light" project, in 40 x 40 cm format, to tell about a playful idea through small works of art accessible to all audiences. The challenge is now launched to 90 international artists who are asked to offer their own interpretation of one of the 90 numbers of this game. An exhibition will be realized to celebrate the 10th anniversary of the opening of our gallery in Nice, which will show all the indications and references of the artist, in particular: website, telephone contact and contact mail, address, possible quotation, including information where to view the works (galleries, personal atelier, etc.) and the indication "represented by the Monteoliveto Gallery in Paris 2018". The catalog will be distributed on the occasion of the exhibition in Paris and during all the 2019 international events of the Gallery. It will be published on the Internet and made available to collectors and operators in the sector.